While genetically modified (GM) foods are a controversial subject given the questions about their effect on the environment and human health, little attention is given to the techniques and experiments used to modify these foods. These techniques are important to understand because they affect the final organism that results. In fact, the development of these techniques and experiments is quite fascinating given how rapidly the biotechnology field has advanced over the last two decades. Ensuring that the techniques are safe and that food is safe as well are important considerations. Bacterial carriers can be very effective for delivering DNA. Typically, a bacterium would be prepped in a solution that makes the cell walls extremely porous. The chosen gene would then be inserted into a plasmid and put in the solution. After heating the solution, the plasmid is able to 'merge' with the bacterium and show the new gene. Once the genetically modified bacterium recovers and grows, it can make additional replicates of the new gene. After infecting the targeted plant, it can deliver the plasmid and the new gene. In this biotechnology technique, the chosen DNA would be exposed to calcium phosphate, which results in the creation of miniscule granules. The targeted cells react to the granules by essentially 'swarming' them and ingesting them, thereby facilitating the granule release of DNA and the subsequent delivery to the host's nuclei and chromosomes. In electroporation, the prepped target cells are saturated in a solution with the chosen DNA. A brief but strong electric shock is transmitted through the solution, causing little tears in the walls of the cells. This allows for the new genetic material to penetrate the nuclei. Afterwards, the cells are put in a different solution that coaxes the repair of their walls, which works to 'trap' the DNA of the donor in the cell. 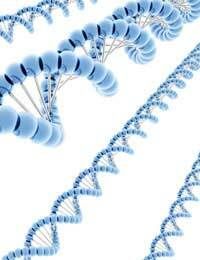 The chosen DNA becomes joined with the host chromosomes to give the host this new gene. This technique uses the chosen DNA to attach it to tiny gold particles. The particles – now 'carrying' DNA – are forced into the target cells using an intense burst of gas. With GM techniques, they are sometimes used to remove a gene that is responsible for an undesirable trait. When gene silencing is used, the gene that is responsible for this trait will first be identified in the organism. Then, another copy of the gene is attached but in the other direction, which prevents the expression of that trait. For instance, an allergen that triggers an allergic reaction in humans could be 'silenced' in this manner. With this GM technique, biotechnologists can modify DNA, and then insert it into target host cells to allow for genes and resulting traits to be modified. An enzyme is then used to fuse the newly added gene into the chromosome. A virus can make an effective carrier for modifying an organism. The virus chosen will be one that does not cause any kind of disease or death. Through the addition of the chosen DNA to the virus genome, the virus can infect the target. Once the virus invades the cell and makes copies of itself, the chosen DNA can be added to the targeted cell. There are other techniques such as lipofection or microinjection, which show how vast the array of techniques is for modifying an organism. Care always has to be taken to choose the most effective technique to produce the desired result. While GM foods will likely continue to be controversial, the techniques that allow for their creation will also continue to advance at a rapid pace. What are the Most Common GM Foods? I support the introduction of GM into crops but scientist behind this technology should be extra careful when breeding plant/seeds so as the whole world not suffer as it happening in USA during the early period of commercial maize Hybrids seeds was introduce in 1920's to early 30's. More education in the form of scholarships should be offer to us (who we support GM in crops) so as to help sensitize our colleagues about GM food.